With a wave-like border around the outer edge, this elegant planter is great for planting succulents or herbs. Planter Dimension: 6 1/4" in opening diameter, 2 3/4" in height. Saucer Length: 3 3/4". Please note that no plants or ornaments are included in this item. 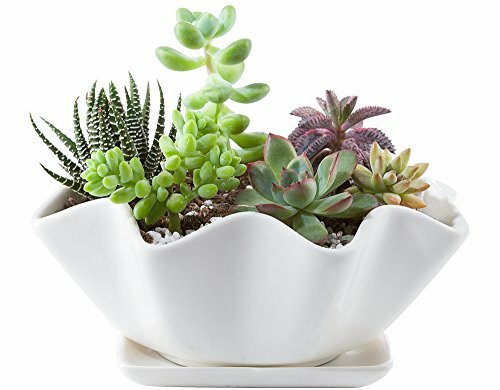 More tips about planting succulents can be seen in Product Description.